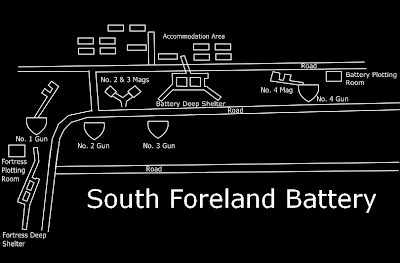 South Foreland Battery occupied a key position on the White Cliffs between Dover and the village of St. Margaret's. It was built at the beginning of WW2 and consisted of four 9.2" guns on a large site with many auxiliary buildings. The majority of the surface buildings have now been demolished but many underground structures still survive. 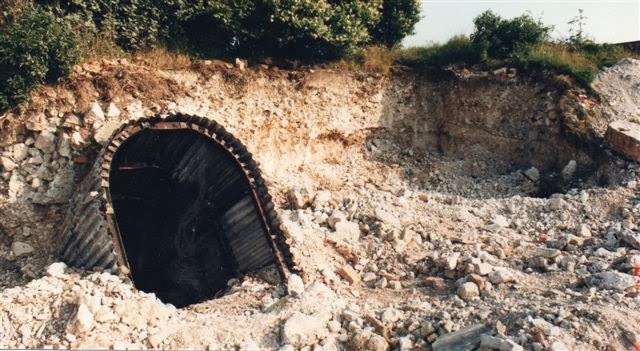 The magazines for No.1 and No.4 guns were located in underground reinforced concrete rooms; No.2 and No.3 guns were served by buried surface magazines. 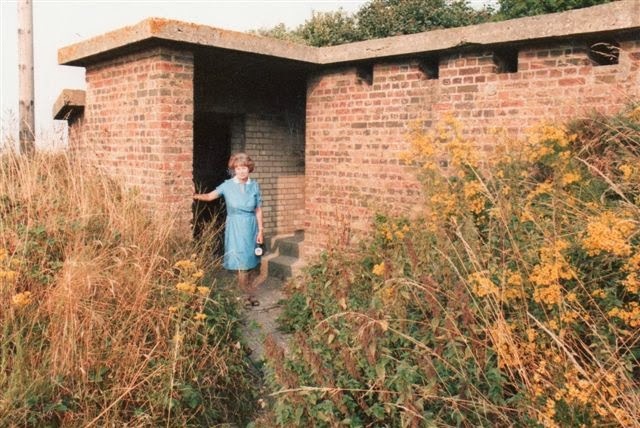 Two deep underground shelters were built in 1941 and take the form of long parallel tunnels accessed by inclined entrances on the surface, lined with corrugated steel sheeting throughout. 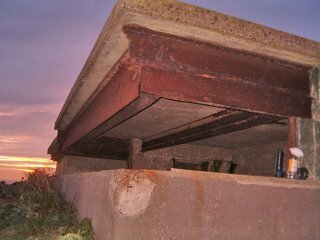 Separate underground Fortress and Battery Plotting Rooms also exist on the site, but have been heavily vandalised. The site is now on open land and has been largely reclaimed by nature, although various fragments of concrete serve as reminders of the site's importance during the Second World War. 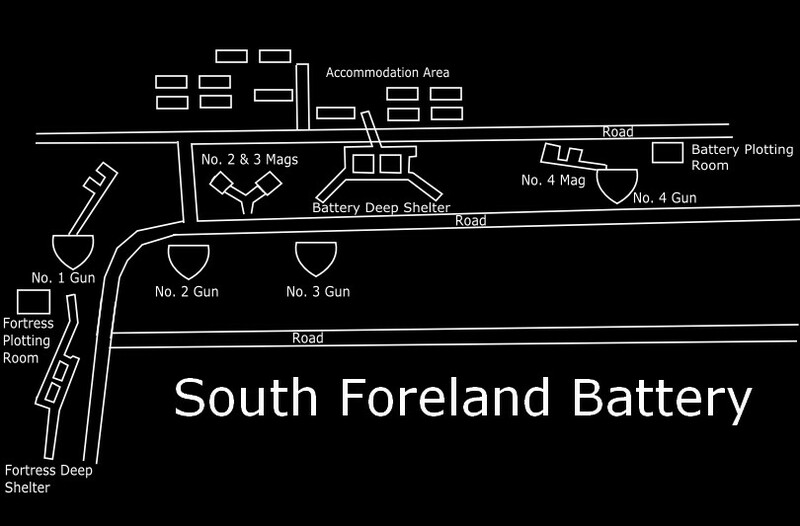 This battery is located on open land, with some interpretation boards explaining the site's wartime importance. Entrances to underground workings grilled 2013, access continues to be available for interested groups, arranged through the key holders. Update 13-02-14 - I have been kindly supplied with some old photos of the battery prior to and during demolition, many thanks to Brian Brooks Payne. 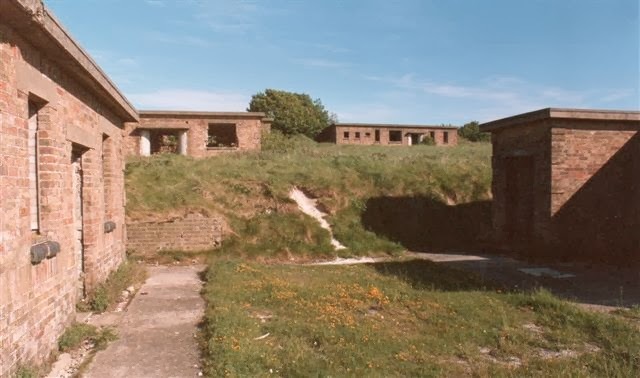 Went there today(01/11/12)the fortress and battery plotting rooms are sealed,as are the deep shelter entrances,have been going here for 20 years plus,first time I've not been able to get in,don't understand why they have been sealed now? They have been gated by the Kent Underground Research group to protect them from being permanently sealed. If you speak to the right people, you will probably have a chance of a visit! 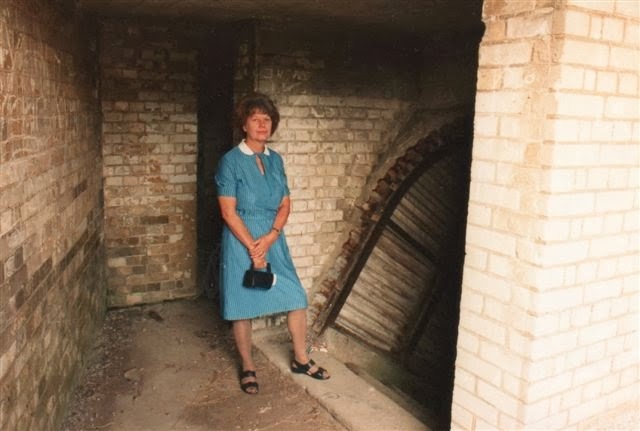 My wife and I used to explore the site just after the military left it and they left a large quantity of unused equipment in the tunnels ( which i must confess ) I "liberated" but in later years gave to various museums with photos taken at the time. The "Bruce" site had most left including ammo wagons and field telephone equipment . A further note to my comment, a lot of the larger "stuff" I had I gave to the people who publish the "after the battle" magazine along with photo's etc and they used quite a lot in article's in the "mag". They retained the items in a museum they had. I took several photos that show these demons and some ectoplasm, yet when I showed them to the 'Internet people', they all took the piss and said that I was experiencing Pareidolia. This was utterly unacceptable so I decided to stop work on a book I was writing and I blamed the internet people for this. I also decided that my main detractors were so utterly bereft of respect for my experiences that I thought it fair to try and obtain their identity and work details so I contact the DVLA and get their driving licences removed and also contact their employers in order to get them fired. They are atheists so deserve this anyway. I didn't manage to get hold of their 'docs' so I settled for sending a creationist fiend of mine as paranoid as I am so that he in turn would tell lies about these internet people on the internet. I also made several videos with the faces of these atheists superimposed onto copulating apes and also including lots of fart noises. Ahhh the memories, my grand father took me down into this shelter back in the early 80's. These photographs of how it used to look are absolutely FANTASTIC, well done Brian for sharing these. They are great to see, happy memories. Thanks for sharing this information with us, if you are looking for a good contractor for pit and pipe installation then our company is best for your work.